A small community of Gorkhalis fights for rights and recognition in ethnocentric Mizoram. “Our population in Mizoram during 1960s was around five thousand; 50 years later it is roughly the same,” says a Gorkhali shoe salesman in Aizawl, the state capital of Mizoram. “Back then the state government used to offer us scholarships to study in schools and colleges. Now our sons and daughters receive no such assistance.” After a few minutes pause, he murmurs, “How are my children going to have decent lives here? It’s very disturbing to think about such things, and this keeps me and my wife awake all night. The only way out of this is either we leave this place or assimilate into the Mizo society. Earlier, Mizos and Gorkhalis were like brothers and sisters, but now they see each other as ‘us’ and ‘them’"
When the Indian Air Force bombed Mizoram in March 1966, it became – and remains – the only Indian state to come under such attacks. For two decades afterwards, armed revolutionary movements shook the Mizo hills. It was only in 1986, when a peace-accord between militant groups and the Indian government was signed, that positive changes began to be seen within Mizo society. Today, Sikkim is the only other state in the Indian Northeast without violent insurgent groups. However, the fruits of peaceful development have not reached the Gorkhalis living within Mizoram. While the rest of Mizo society is on an uphill trajectory, the Gorkhalis are heading downhill. Nonetheless, with permission from the village chiefs, the Gorkhalis settled in the Lushai Hills, bypassing the Chin Hills Regulation Act, 1896, which prohibited the residence of non-native peoples in the Hills. Socioeconomic relationships between different communities meant that Gorkhalis – and even traders from Bengal and Assam – were able to get around the regulation. Gorkhalis who had served long-term in the British army and were known for good conduct remained behind in the Hills after retirement. The majority of Gorkhalis today remain clustered around Aizawl, Sairang, Vanlaiphai, Lunglei, Demagiri and Thingdawl. While some Gorkhalis with exemplary services were awarded considerably large pieces of land, very few were bestowed with chieftainships, with powers and privileges on par with Mizo chiefs, including hereditary rights of succession. One Rifleman Dhohbir Rai was awarded the whole area of Dinthar in Aizawl, while another Rifleman Sriman Rai was awarded the whole area of Zotlang in Aizawl. The cordial relations between the Mizos and Gorkhalis continued during the Mizo National Front Movement of 1966-1986 as well, with Gorkhalis joining as active members of the Front. Some volunteered as drivers to transport goods and arms supplies for the dissenters, some as river navigators, and others as shooting instructors and experts on explosives. Some of the Gorkhalis even served prison time for their 'unlawful' contributions during the Mizo National Movement. Later, in 1982, when the Mizo National Front issued the Quit Mizoram Order to non-Mizos, Gorkhalis who were in possession of immovable properties and who were residing in Mizoram prior to 1966 were exempted from the ruling. During colonial times and while under the Assamese administration until 1972, Gorkhalis were also well-represented in politics. In 1936, a Gorkhali Mauzadar (Panchayat) was formed in the Lushai Hills to allow Gorkhalis to exercise some administrative coordination over their own population, such as collecting taxes on a 15% commission rate. During the 1950s, Gorkhali Panchayats were vested with some autonomy; for instance, Gorkhali social customs and practices were controlled with minimal interference from district magistrates. In village councils, Gorkhalis were represented through election or nomination. Some of the Gorkhalis even held the coveted position of village council president. However, the institution of Mauzadar was abolished in 1953, along with the tradition of Mizo chieftaincy. Nonetheless, that same year, when the Indian Constitution granted Mizoram the status of an autonomous Mizo District Council, Lok Bahadur Lama, a Gorkhali from Khatla, became the circular assistant – a peon who distributes letters – of the Council. And when Mizoram was declared a union territory in 1972, Kapurchand Thakuri, a Gorkhali, was nominated to the first Mizoram Legislative Assembly. Unfortunately, socio-political and administrative spaces for the Gorkhalis were suddenly reduced when Mizoram achieved statehood in 1987 and became increasingly ethnocentric. Intolerance for non-Mizo communities meant that even the Gorkhalis fell out of favour. The first blow came during the two-decade-long insurgency, during which cordial relations gave way to an intolerance and exclusivism. The process of village grouping – a governmental tactic to isolate villagers from the insurgents – was enacted in the Mizo hills, and introduced sentiments of ethnic exclusiveness into the Mizo society. During these groupings, Mizos were given priority over non-Mizos for settlement in best locations. As a result, many Gorkhalis were affected and left Mizoram. For instance, in Champhai district, almost all Gorkhalis, except three families, left for good. In a state message broadcast in 1999 Mizoram Chief Minister Pu Zoramthanga did acknowledge the Gorkhali community’s role in enhancing peace and harmony in Mizo society, but Gorkhalis’ status in Mizoram continues to deteriorate. To empower themselves and raise their living standards, Gorkhali civil society associations have been working towards raising awareness in the community. Two associations in particular stand out: the Mizoram Gorkha Students Union (MGSU), established in 1971; and the Mizoram Gorkha Youth Association (MGYA), formed in 1976. With its motto of ‘Unity and Education’, MGSU aims to keep the Gorkhali community aware of their fundamental rights and duties. It is also involved in preventing Gorkhali youths from committing juvenile delinquencies and abusing drugs. In 1995 the students union openly supported the Bharatiya Nepali Rashtriya Parishad (Indian Nepali National Council - BNRP) – led by then-Chief Minister of Sikkim Shri Nar Bahadur Bhandari – which was lobbying for the inclusion of Nepali as an official language in the Indian Constitution. MGYA does not differ much from MSGU in terms of its focus or activities. Like MSGU, the youth association frequently organises social awareness programmes, cleanliness drives, and functions to keep the Gorkhali community united. Prior to the formation of the MGYA, different youth clubs existed in pockets of Mizoram where Gorkhalis resided. Today the MGYA is the most active and the most influential civil society association for the Gorkhalis in Mizoram. Not only has it become an agent for social change and development among the Gorkhali community, it also acts as a catalyst for maintaining social harmony with other communities in Mizoram. Since 1995 MGYA has also been championing the recognition of Gorkhalis as an Other Backward Class (OBC) in Mizoram. In other Indian states – Manipur, Assam, West Bengal, Uttaranchal and Himachal Pradesh and Meghalaya – Gorkhalis have already been classified under the OBC. Achieving this status will provide favourable opportunities to the Gorkhalis under the constitutional provisions of reservation, primarily in higher education and government jobs. Gorkhali youths with higher education might then have a better chance at a decent job. Unemployment among the Gorkhalis has been rising since 1987, and as a result many Gorkhali youths are forced into menial jobs, drug addiction and delinquency. In June last year, the vice-chairman of the National Commission for Minorities did express his desire to grant OBC status to Gorkhalis of Mizoram, but the issue has been heavily politicised. Non-Gorkhali civil society groups such as the Young Mizo Association (YMA) – the largest and the most influential NGO in Mizoram – have been openly objecting to Gorkhalis' demands, and their position on this does not seem likely to change anytime soon. One of the Gorkhalis’ other major demands, given that the majority of them are Hindus, is the ‘right to rites and rituals’. Since 1973, they have been demanding a site for cremation. 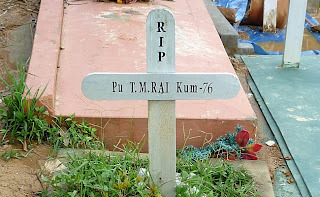 When a Gorkhali dies in Mizoram, the last rituals are often left incomplete, with some of them buried in the Mizo community cemeteries. Earlier, some well-off Gorkhalis did carry their dead down to areas where they could perform the last rites, but this is a costly affair and not everyone can afford it. Most of the Gorkhalis in Mizoram are poor and politically exposed. 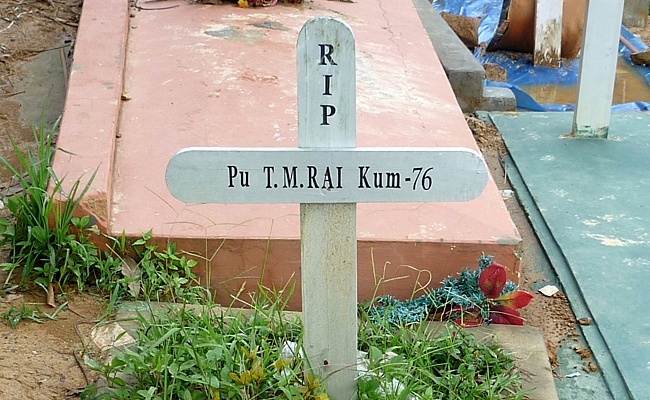 After incessant pressure, however, a site in Sairang, 19 kilometres from Aizawl, has been earmarked for cremation, but the state is unwilling to finance the construction of necessary infrastructure, such as roads to the site. What the Gorkhali civil society in Mizoram has not taken up are the issues of assimilation. Cultural assimilation for Gorkhalis, some of whom have been in the state for four generations, has been worrisome in recent times. Some members from the community have already assimilated into the Mizo mainstream, accepting the Mizo culture and lifestyle and even giving Mizo names to their children. Even though Gorkhalis believe that inter-marriage and assimilation is a matter of personal choice, they acknowledge the threat to their culture. After emigration, integration into Mizo society is the second factor in having kept the number of Gorkhalis stagnant over half a century. It is an unfortunate fact that Gorkhalis, despite being legal citizens in Mizoram, now lack political representation within the state. Although the Indian government clearly recognises any Gorkhali who has resided in Indian territories since or prior to the promulgation of its Constitution in 1950 as an Indian citizen, this notification appears toothless where the status of Gorkhalis in Mizoram is concerned. Even the education ministry of Mizoram places Gorkhalis in secondary and tertiary groups of consideration during admissions for medical and engineering colleges. The only way forward is to allow Gorkhalis to live as equal citizens of the state by ending ethnic discrimination and granting them OBC status. ~ N William Singh is an assistant professor of sociology at Pachhunga University College (Mizoram University) and a research scholar at Jawaharlal Nehru University, New Delhi. Presently, he is a DAAD fellow at Frei University, Berlin.